Find out who crowned the What I See Tree! Kathy Smedley, founder of Act4Africa, is our Christmas Star! Christmas is nearly upon us, and with it, the grand finale of our #TreeTweet campaign. Since the 1st December, we’ve been asking you to #TreeTweet your answers to four special questions. 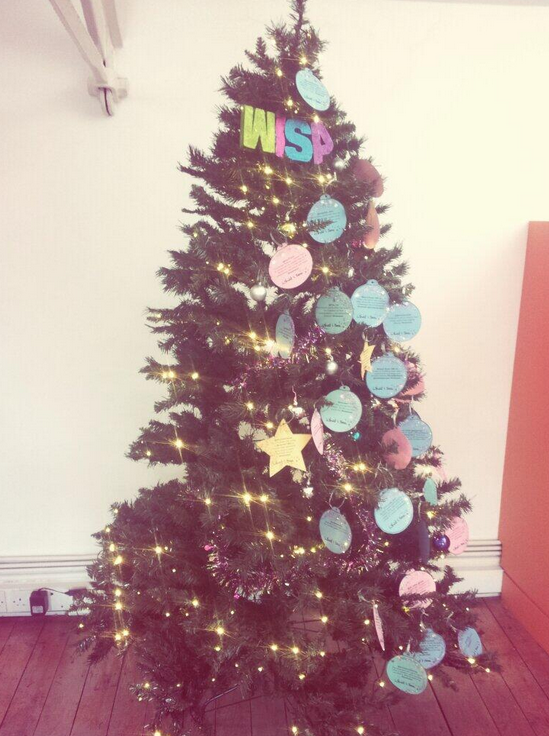 Each answer has been made into a handmade What I See bauble that has decorated our seven-foot office tree. ...To becoming a fully-fledged festive fir. We may have spent the whole of December with bits of glitter on our faces, but it was worth it. We did it. Thanks to you, and our helpful Twitter elves (you know who you are! ), our tree is a positively festive spectacle of goodwill. But that’s not all. In true What I See style, we asked you all to nominate your super-women of 2013 as your Christmas Stars. Who’s inspired you? Who’s been your role model? Who’s made you smile? 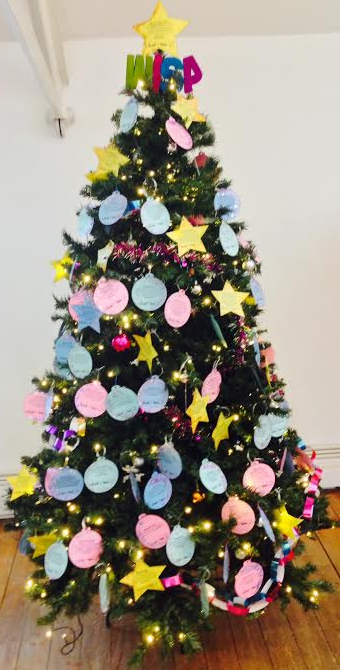 We had some great nominations, and we’ve spent days deliberating over which star gets to crown our tree – you can see every nomination in all its glittery glory by browsing our Twitter photos. We’d like to send a special shout out to Melanie Bryan’s gorgeous granddaughter Carmen-Laurette, born during the campaign. In the end, we decided that our crowning glory is going to be awarded to the amazing Kathy Smedley of Act4Africa, nominated by Lily Newman. Lily said that Kathy founded and works tirelessly for the health and education charity Act4Africa, despite her own health problems. In 2000, Kathy decided to try and help African communities by enabling them to use their own talents and abilities, so set up Act4Africa with her husband Martin. The charity has since grown, and today aims to promote gender justice for women and girls, help equip them with the skills to free themselves from poverty, and combat HIV. We can’t think of a better person, or a better cause, to crown our tree. So thanks to Kathy Smedley – for her amazing work and for helping to give our campaign such an inspirationally tree-topping role model. And with that, we bid you a very happy Christmas, and a wonderful New Year. See you in 2014!